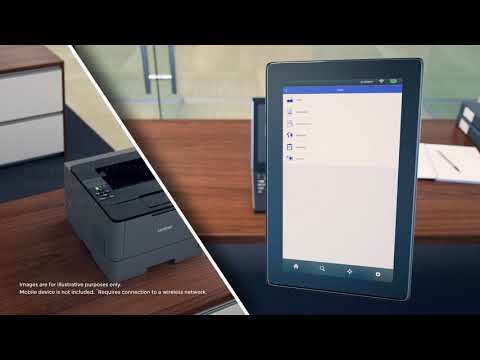 Business monochrome laser printer for offices and small workgroups. Cost-efficient output thanks to a high-yield 8,000-page replacement toner cartridge (approx. yield based on ISO/IEC 19752). Prints up to 42ppm, at up to 1200 x 1200 dpi resolution. Advanced security features helps restrict unauthorized printing and protect sensitive documents. 250-sheet capacity paper tray, with 50-sheet capacity multi-purpose tray for envelopes and alternative media types. Expandable to 1,340 sheets total capacity with optional add-on trays. Automatic two-sided printing helps save paper. Easy sharing via Ethernet or wireless network. Print from mobile devices over a wireless network. Backlit LCD display for easy menu navigation.